If there's one thing we're all going to miss heading to college in September, it's the craic with your besties from home. To stop yourself from missing home too much, why don't you and the gals get organised on a weekend trip to these five destinations in Ireland. 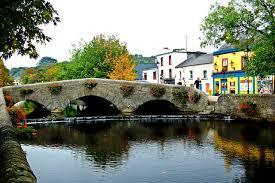 Anyone who studies in Mayo or Galway knows a trip to Westport is an essential journey. The bars and clubs, including the iconic Cosy Joe's, are traditionally Irish but the craic is 90. Not only is Clifden picturesque, it's an hour's car journey from Westport which means you could pack the two spots into one long weekend. Check out the stunning Connemara landscape or walk around the quaint town of Clifden. It's one trip you won't regret taking with the gals. 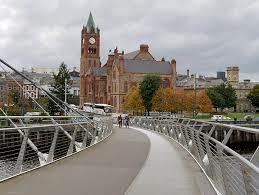 While Nadine Coyle's Derry accent might be questionable, Derry city is a unique night out and packed full of historical landmarks left behind after the Troubles. You never know, when you visit you might just spot the Derry Girls gang filming their next season when you're strolling through the city. The crew are filming season two this October. Lahinch is like visiting the edge of the world but in the best possible way. After you're done visiting the Cliffs of Moher, experience a night in Lahinch. Treat yourself to a pub crawl and check out Eugene's, Egans and Cooleys House. A rare treat, Achill Island is an explorers dream. After a stroll through the Woodland Faerie Trail and the deserted village, stop in the Chalet or the Cottage for dinner and drinks.